The Hire-Purchasing System, wherein the buyer paid for their furnishings on an installment plan (rather like Rent-a-Center). The Stock Furnishing System, wherein the buyer took a list of what they wanted for each room, and purchased it all at once at a discounted rate. 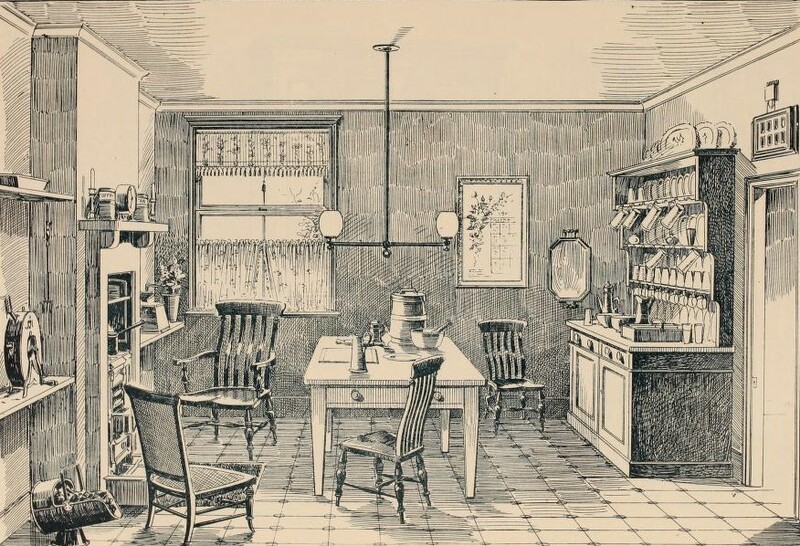 The Craftsman’s System, wherein the buyer commissioned artist-craftsmen like C.R. Ashbee, C.F.A. Voysey, and others who owned their own workshops (typically aligned with the Arts and Crafts or Art Nouveau movements). A range and sink for preparing vegetables and washing-up purposes; the floor and walls are tiled where all the necessary part of the work is done. 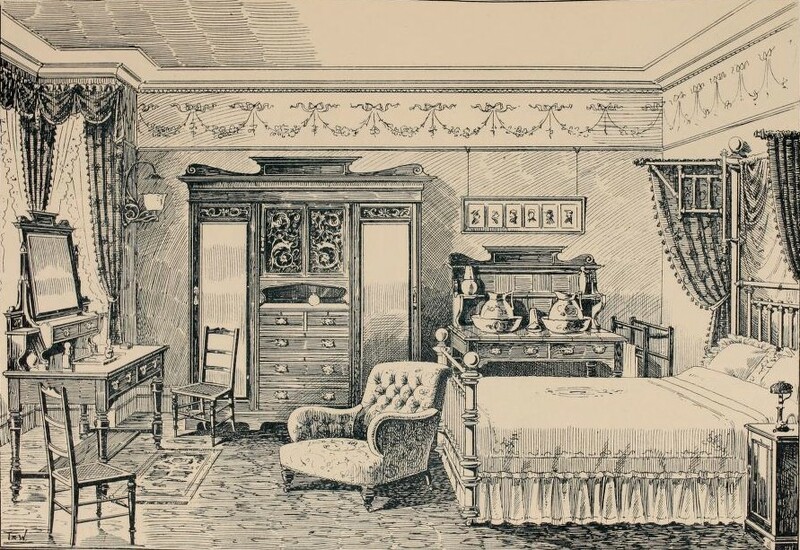 Dressers should be provided of ample size with good drawers and pot-board accommodation. There should, as well, be cupboards. Sinks must be of good size, preferably white coralled porcelain. Draining boards should be of a hard wood like teak…fitted with gun-metal pad plate bosses, screwed to plugs in the wall. The range should be so placed that it is lighted from the left-hand side. 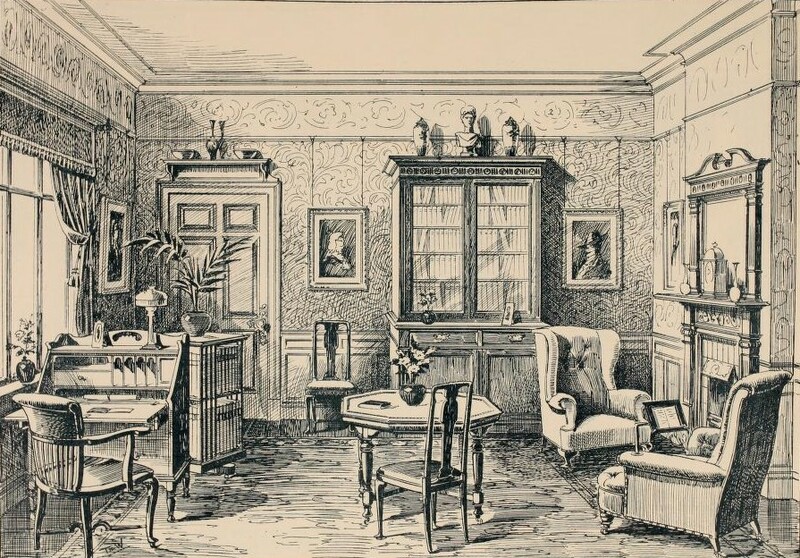 The main necessaries in a modern bedroom: thorough ventilation at all hours of the day and night; fitments to do away with wardrobes and chests of drawers, so that room-space and air-space may not be wasted; a good position for the bed, not only away from the draught passing between window, door, and fireplace, but free from the early morning light. The foot of a bed should not face a window. Illustrations from The Army & Navy Stores catalog. This co-operative society was founded in 1871 by a group of naval and army officers who decided wine was too expensive and posited that costs would decrease if they ordered it by the case at wholesale prices. The Army & Navy Co-operative Society restricted its membership to officers and non-commissioned officers, their families, and friends introduced by them, as well as officials of various service organizations and clubs. By the Edwardian era, the Army & Navy store was the place to be outfitted for journeys to Britain’s far-flung colonies–and it was the primary method for those living in colonial outposts to obtain foodstuffs, furniture, books, etc from “Home.” In Britain, the Army & Navy Stores made itself indispensable to its members, from assisting in moving to a new home to renting silverware and china for parties, and even to arranging funerals. 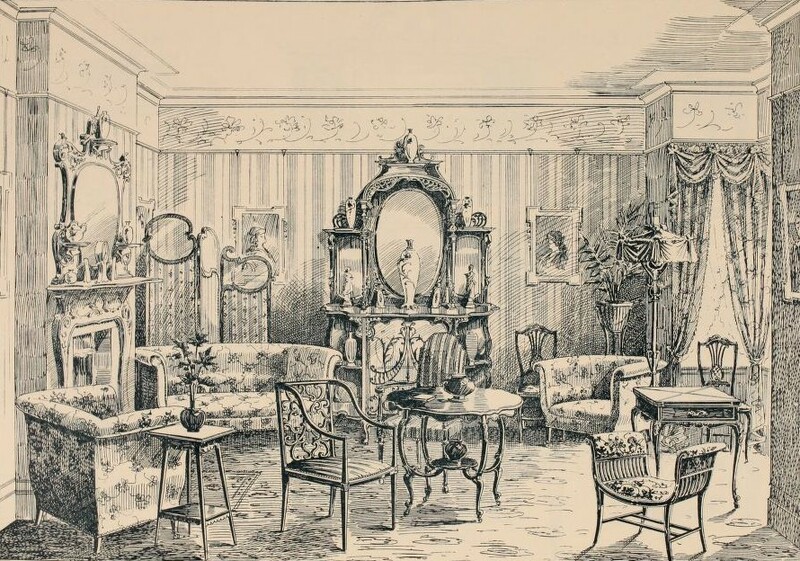 They also had a very brisk trade in providing the houses and flats of the upper middle and upper classes (and some aristocrats too) with quality furnishing that looked as though it had been handed down from generation to generation.